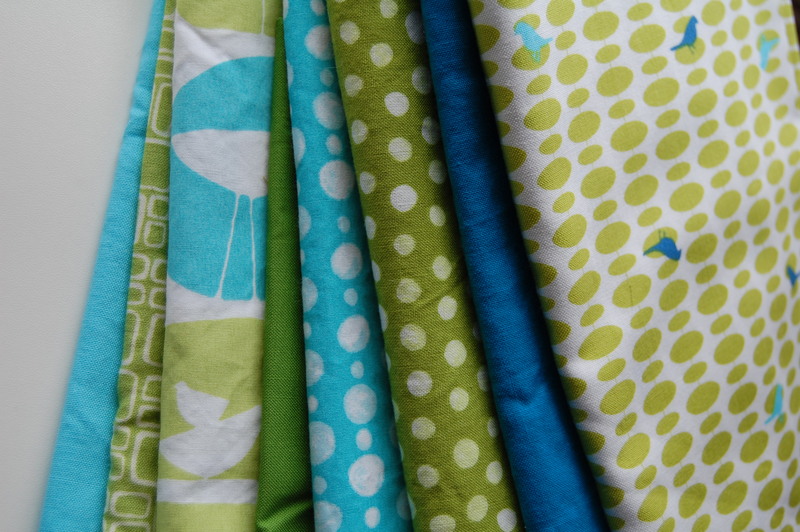 Fabric love and other stuff…..
About a week ago I became suddenly compelled to work with these gorgeous, fresh and modern colors! 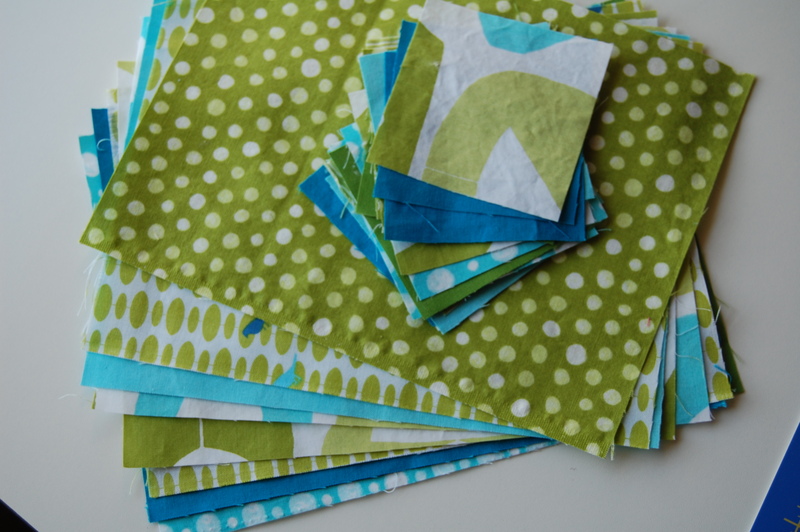 These fabrics have been on my shelf for quite some time and I have been oohing and aahing over them. I have decided the time has come to let them shine somehow! I have all the main pieces cut and now I’m ready to sew. I’m really excited about this new design I’m working on; clean, modern but with a traditional twist. I hope to finish it soon and share the end result! 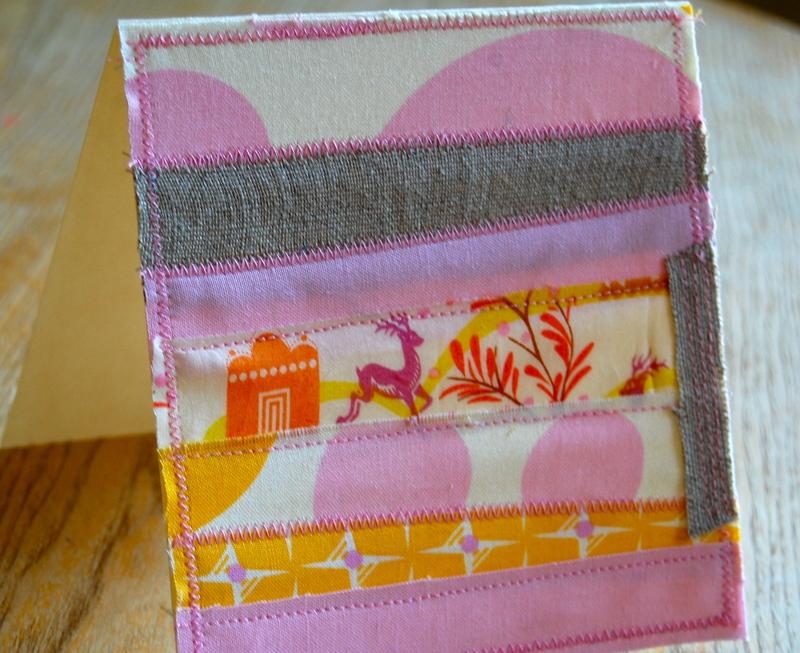 On to other fun fabric play….. I had some fun making a birthday card for my mom last weekend. 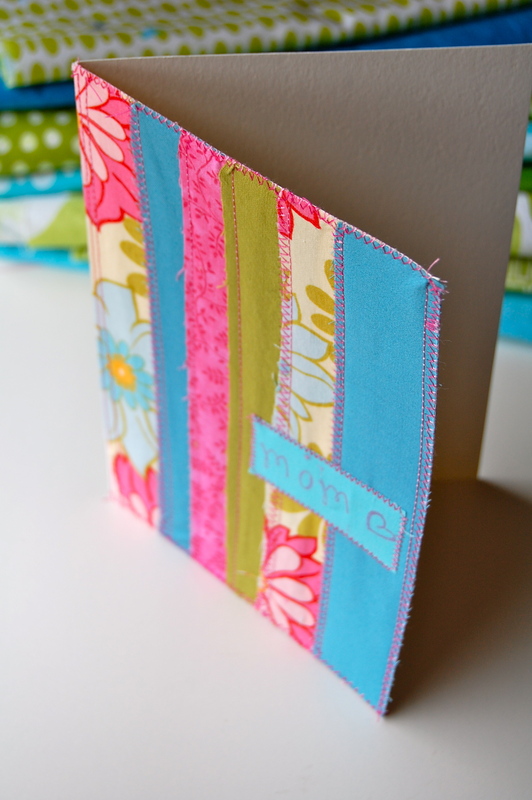 I love this method for using up scraps I love. 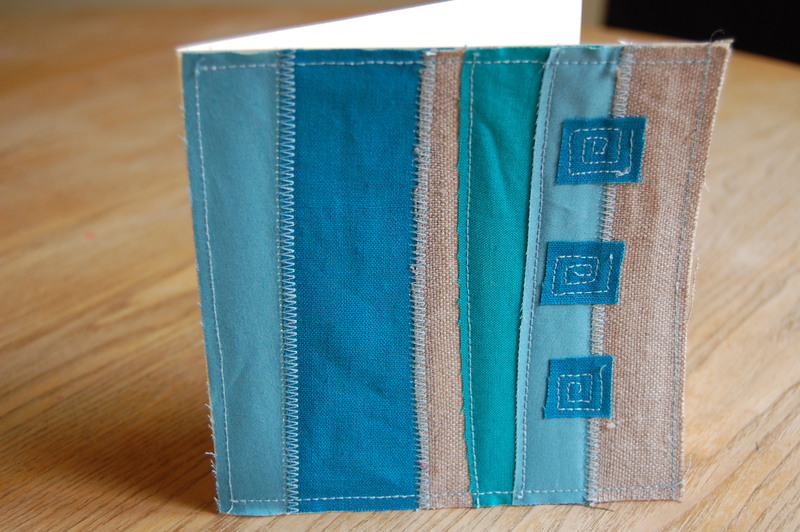 Some nice heavier weight paper and some matching thread color, and “voila”- a birthday card was born!! 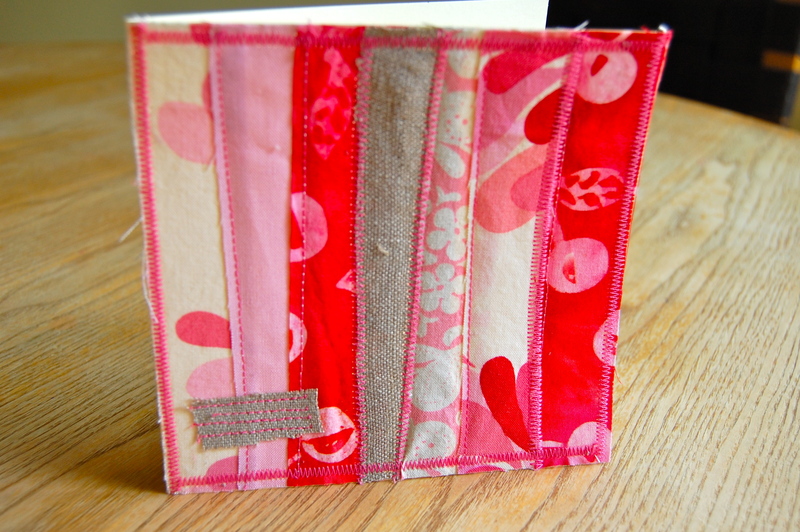 She really loved it and of course appreciated the handmade factor. the girl’s friends. They are fun, easy and save me a trip to book/card store. 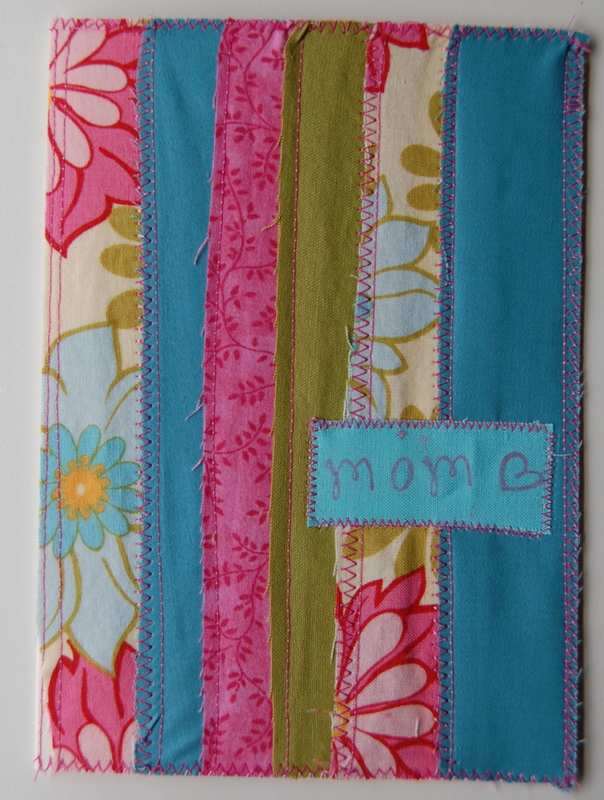 The best part is you can whip one up in a jiffy if you need a last minute card. Love these cards! I’ll have to get some of my own for scrap use. I do love my birthday card and I am continually astounded at my daughter’s creativity.